I’ve been distracted! With loads of Racing styling, coupled with instore and off-site Fashion Workshops, I’ve neglected to snap my gorgeous UnModels! 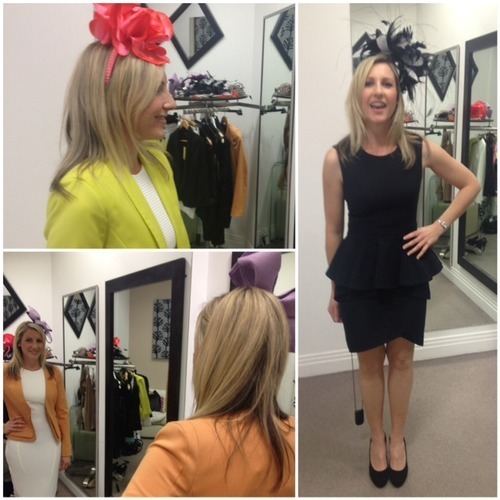 So a tiny snapshot below will give you an idea of just a few recent AndAndrea styling sessions. You’ll see UnModels are just like you and me! 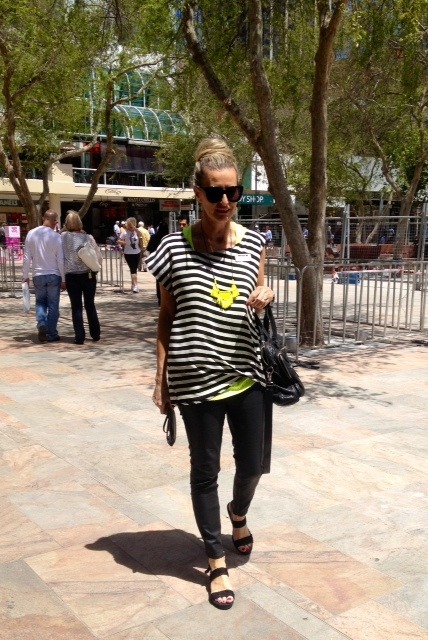 Wearing a relaxed Manning Cartell and neon combo above. Comfort is essential at work. Thrifted Spanish sandals….a $4 bargain. UnModel No 1: Needed a total wardrobe overhaul with an emphasis on colourful, comfortable clothes, suitable for lecturing! A mix of Leona Edmiston and David Lawrence above was the perfect answer. UnModel No 2: Surprise!! A Happy 13th Birthday styling session gifted from a favourite Aunty. Shorts, singlets and Miss Shop skinnies were a big hit. What a doll! 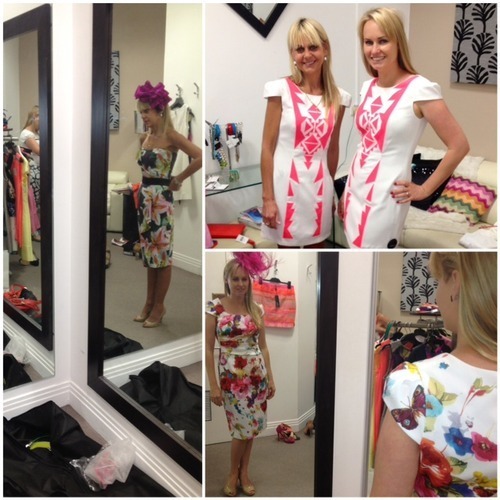 UnModel No 3: Off to the Melbourne Cup and prepared well ahead of time. 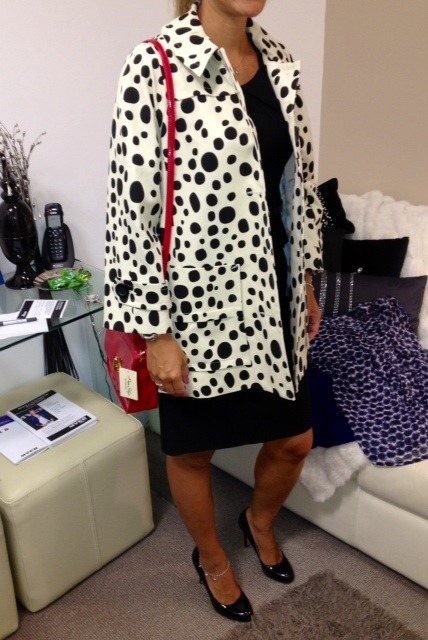 Several stylish Racing outfits as well as cropped jackets were needed… just in case the weather turns ugly! UnModels No 4: Fashions On The Field VIP’s played with loads of colourful Spring options and had a funtime at Myer, before deciding on Alexander McQueen and Karen Millen. Top choices. UnModel No 5: A floaty, azure blue, maxi was the perfect choice for a very special wedding in Bali. 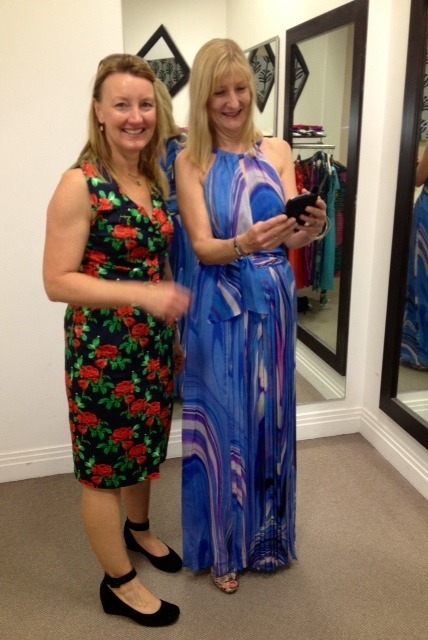 Friends make styling sessions extra special. 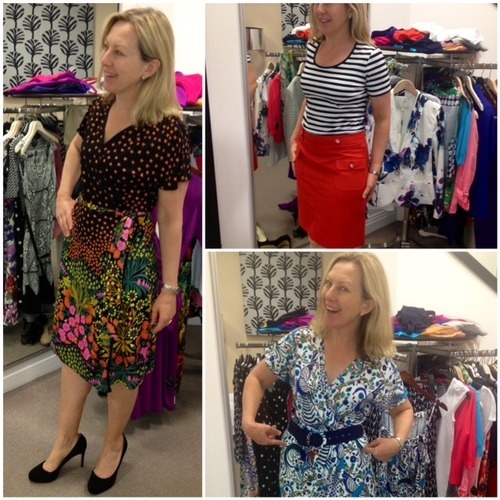 AndAndrea styling sessions are free at Myer. Treat yourself. 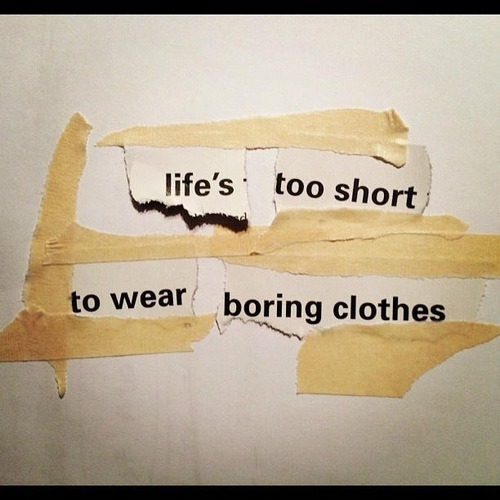 Afterall, in the words of sass & bide…. If you’re enjoying this blog, please share the love by following me on Twitter @andandreastyle or click the subscribe button to receive regular updates.